“Alec is so in love with 'Words with Friends' that he would risk getting thrown off a flight to play,” rep says. “30 Rock” star Alec Baldwin was removed from an American Airlines flight at LAX after a dispute with a flight attendant before takeoff on Tuesday. “Alec is so in love with 'Words with Friends' that he would risk getting thrown off a flight to play,” Hiltzik said. “He's already been re-booked on another American Airlines flight." 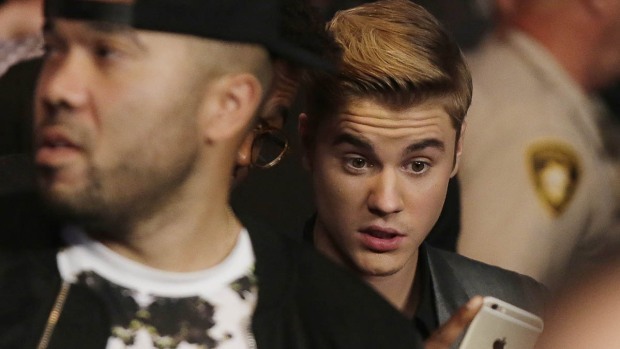 Baldwin responded to the fracas with several tweets aimed at American Airlines. “Flight attendant on American reamed me out 4 playing WORDS W FRIENDS while we sat at the gate, not moving. #nowonderamericaairisbankrupt,” he tweeted. The NBC star went on to escalate the war over "Words" by using the hashtag #theresalwaysunited, even after telling his followers he'd been rebooked on a 3:00 p.m. American flight to New York. “The flight attendants already look.....smarter,” he wrote. "Last flight w American. Where retired Catholic school gym teachers from the 1950's find jobs as flight attendants." Other passengers on Baldwin’s original flight also weighed in on Twitter. “On an AA flight at LAX. Alec Baldwin removed from the plane We had to go back to the gate. 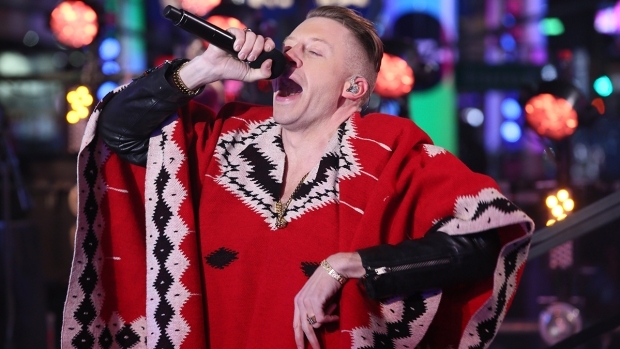 Terrible that everyone had to wait," wrote Activate founder Michael J. Wolf. 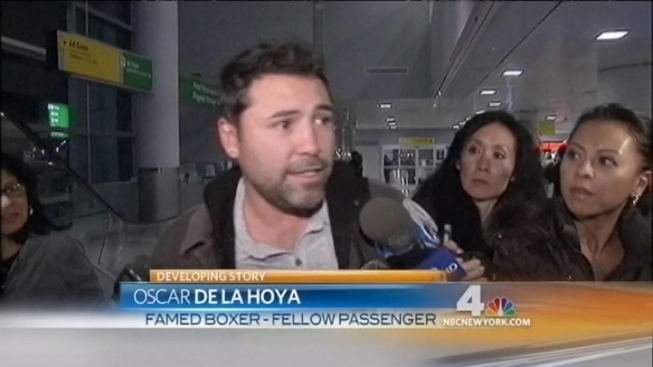 Famed boxer Oscar De La Hoya later told NBC New York he was sitting in first class near Baldwin. "Alec Baldwin was turning off his devices, and I don't know, he just got a little angry," he said as he walked out of Kennedy Airport. De La Hoya said it appeared the flight attendant and Baldwin "mutually decided he must get off the plane." American spokesman Ed Martelle cited privacy concerns Tuesday in telling MSNBC the airline does not “comment on something that might or might not have happened." The airline explained its side of the story on Wednesday, saying it was doing so because "an extremely vocal customer has publicly identified himself." Baldwin refused to turn of his cell phone after being asked to do so then stood up with the seat belt light on and took his phone into the bathroom, according to American Airlines' account. "He slammed the lavatory door so hard, the cockpit crew heard it and became alarmed, even with the cockpit door closed and locked," the airline said in a statement. "They immediately contacted the cabin crew to check on the situation. The passenger was extremely rude to the crew, calling them inappropriate names and using offensive language. Given the facts above, the passenger was removed from the flight and denied boarding."